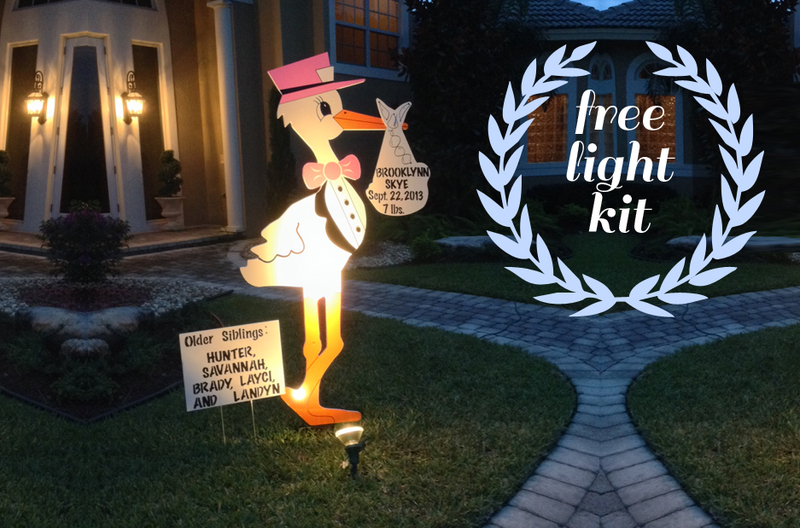 Storks by Cindy a stork sign rental service would love to help you with welcoming your prince or princess home with one of the most elegantly designed storks in the kingdom. Imagine how the mommy and daddy will feel when they bring new bundle of joy for the first time and are greeted by one of our beautiful six foot tall storks in front of their home. Our beautiful storks are the perfect way for families to announce and share the excitement of welcoming their brand new baby.Each one of our stork rentals includes a personalized “bundle of joy” which includes the baby’s first & middle name, birthdate and weight. Storks by Cindy would also love to help make the new baby’s older brothers and sisters feel just as special with their very own sibling sign. Our sibling signs will include their name and announce that they are now a proud big brother or sister. Proud grandparents will also enjoy announcing to their neighbors and friends the arrival of their beautiful new grandchild with one of our beautiful storks. Hosting a baby shower??? 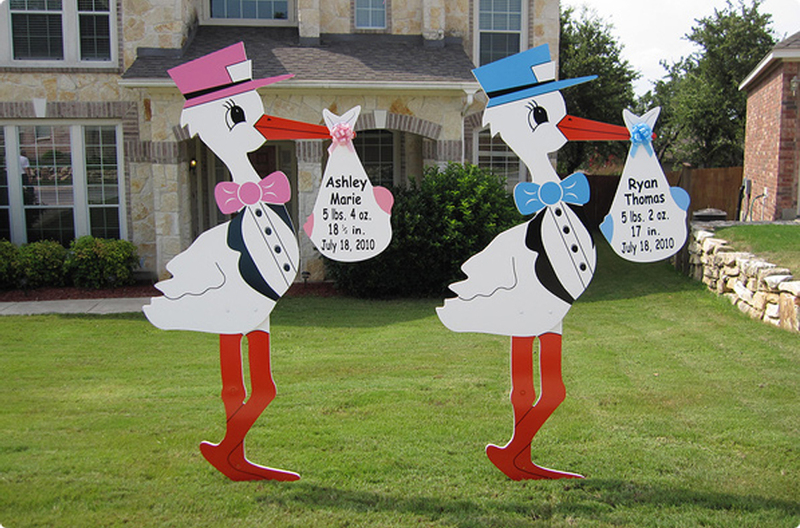 Storks by Cindy would love to rent one of our beautiful stork signs to add some pizazz to your décor’. The bundles can be personalized with the mother’s name “Welcome to _____’s Baby Shower” or can simply state “It’s A Boy!” or “It’s A Girl! “.